Legal documents have their own special language. “Whereas” and “sine die” are words of history used in modern times. The language can confuse and that isn’t good. People worry they may be falling into a trap. A contract, lease or warranty may have a double meaning, or at least a person may think they do. Fear of the nouns and verbs will make a person hesitate to sign a document. Group legal plans aid in explaining the language. Countrywide Pre-Paid legal services offer such help. 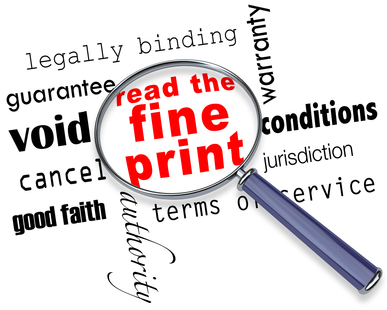 Legal documents ordinarily are brief and Countrywide attorneys review up to six pages. Our nationwide network of attorneys are experts in legal language. They will analyze the pages and explain the meanings. Our group legal plan lawyers spot traps in the clauses. They will alert the plan member to these pitfalls, permitting that individual to request changes be made to any contract or lease. A landlord might have language in the lease requiring arbitration instead of litigation. It is a way of preventing a person from exercising their full legal rights and an unsuspecting renter can be very easily duped. The Countrywide lawyer will notify the plan member whether this is legal. Pre-paid legal services stop a person from signing away rights. Our benefit options support each other. For example, if investigating a warranty uncovers consumer fraud, we have a pre-paid legal services benefit for consumer protection. Our plan member gets help filing a customer complaint. Secondary services will also help. A face-to-face conference with a Countrywide attorney is possible and a plan member can ask an unlimited number of questions over the telephone concerning a given situation. Not everyone can write a good letter, especially if it involves legal matters. Countrywide attorneys can write letters on behalf of group legal plan members. In addition, they also are permitted to make telephone calls on behalf of the individual. This helps when clarity is a problem. Our lawyers know what kind of questions need to be asked to get a better understanding of what a document is saying. Employers appreciate what the document review does for their employees. Foreign workers already suffer from a language barrier. The dry, officious, words of a legal document only add to the confusion and anxiety. Countrywide Pre-Paid Legal Services will make the words transparent and easier to understand. The service may appear to be insignificant, but it isn’t. Foreign workers feel more comfortable with American legal documents when they know that everything is being reviewed by a highly competent legal professional. We mentioned earlier how our pre-paid legal services benefits can support each other. We offer clients the opportunity to design a highly efficient group legal plan. Employers choose the benefit options. Perspective clients are better able to respond to their work demographics; picking pre- paid legal services which will maximize benefits for individual age groups. Countrywide has been working with organizations of all sizes for over 30 years. We learned that choice is the best way to produce a superior employee benefit. Clients know that, regardless of their choices, the secondary Countrywide benefits will be there. Streamlined administration and top priority service will be in every group legal plan. We pride ourselves on the high emotional intelligence of all our lawyers and plan members can expect respect and courtesy. People are going to enter all kinds of situations requiring legal documents or applications. Everything is made easier when the paper is reviewed by a Countrywide lawyer. Lifting a degree of anxiety from the shoulders of an employee permits that person to spend more quality time on company projects. Pre-paid legal services are an employee benefit that employees like and respect the employers who offer it. If you have questions about our services, please feel free to contact us. We want to explain everything we do that makes legal matters easier for your employees. All questions you ask will be answered completely.